Camp Burgess & Hayward offers both seasonal, part-time, and full-time career opportunities. Most employment opportunities are seasonal. Our Summer Camp and Teen Adventure Trips run in the summer months only, while our Outdoor Education program runs in the spring and fall. Please feel free to contact the directors of any of these programs with any questions. 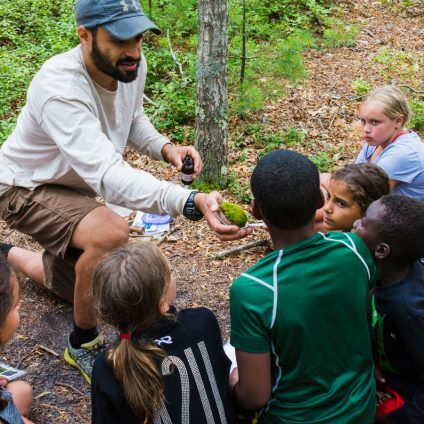 The Outdoor Education Program provides engaging and fun science classes and adventure activities: climbing tower, low ropes course, two state-of-the-art high ropes courses, zip-lining, canoeing and kayaking. Applicants should be age 21+ and have experience and a real passion for working with youth. 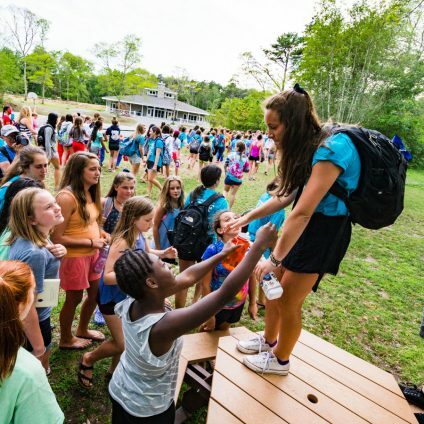 Established in 1928, the South Shore YMCA Camp Burgess and Hayward has been a leader in Massachusetts camping for over 80 years. With one and two-week sessions, Camp Burgess & Hayward’s brother-sister camps have summer programs for boys and girls ages 7-16. Building on more than 30 years of leading trips for teens around North America, we offer trips focusing on a range of adventure activities, from surfing to biking to whitewater rafting. We hire Trip Leaders for the summer to lead our campers on these amazing adventures.